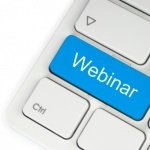 June 6, 2012 — ChiroTouch, a leader in chiropractic software, announced its final presentation of “Doctors’ Real-World ARRA Stimulus Success Stories” webinar, which is scheduled to air live for one hour June 14, 2012, at 11:00 a.m. PST. The American Recovery & Reinvestment Act was signed into law on Feb. 17, 2009. The health IT component of the bill, the HITECH Act, appropriates $19.2 billion dollars to encourage chiropractors to adopt electronic health records. In effect, the bill pays chiropractors to realize the full benefits of a modern EHR system. This stimulus bill should help provide most chiropractors in the United States with an electronic health record system at zero net cost to the practice. Hear from actual ChiroTouch users about what they have already received for their stimulus in 2011 and the new tools we have in place to make it even easier.